Variation is a fundamental attribute of life; understanding its nature is important to all. Wisconsin Fast Plants are an ideal model for teaching this concept, with easily observable variation in many plant traits. This variation can be observed, described, and measured or quantified to gain greater understanding of plant traits. Development of selection experiments allows analysis of recorded data and measuring gain from selection, providing an excellent opportunity for modeling evolution through “artificial” selection. How can Fast Plants be used to teach about variation and natural selection? Histograms depict hairiness and gain from selection over three generations. Plant hairiness (hairs are a type of trichome) is highly variable and minimally influenced by the environment, an ideal candidate for selection experiments! On the left is a hairless (glabrous) leaf, and on the right is a hairy (hirsute) leaf. Density of hairs (trichomes) is variable, likely controlled by multiple genes. Can you increase your plants “hairiness” through selection? 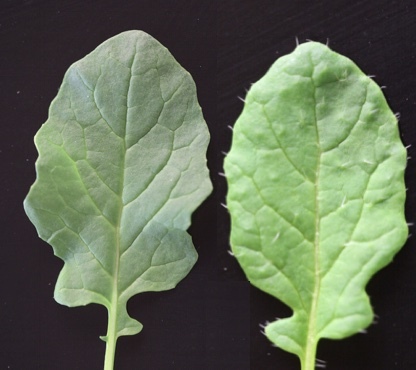 Left to right: plant stems with increasing intensity of anthocyanin expression. Expression of anthocyanin (purple pigment) is variable, dependent on both environment and genetics! 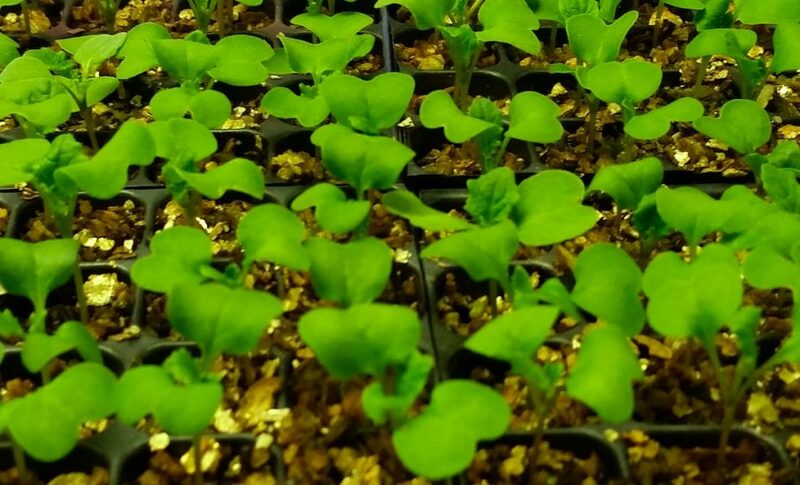 Can you increase your plants purple expression through selection? What kit can I use for investigating variation and selection in the classroom?